Lula Mae Newfield peacefully passed into our Lord’s loving arms on January 5th, 2018, at the age of 79. Lula was born in Bonifay, Florida on August 26th, 1938. Daughter of Jesse Daniel Peters & Elizabeth Pearl Peters, she was the 10th of 12 children. Lula was an incredible example of love, sacrifice and strength in our family. Never one to complain about the trials and tribulations of life, Lula persevered with her bright gleaming smile and cheerful laugh. She was a huge influence and inspiration to not only her children, but her grandchildren and many others throughout her life. She loved music, dancing, reading, working her puzzle books, and all things arts & crafts. She loved to cook and feed neighbors, friends, and her children’s friends even if they weren’t hungry. More than anything else, she loved having her family and friends close to her especially during the holidays. Her joy, generosity, laughter and smile will be missed, but will live on in our hearts. Lula was preceded in death by her husband Stuart Allen Newfield, her parents and her 11 brothers and sisters. She is survived by her: daughter Sharon (son-in-law Bryon, granddaughter Sarah and great-grandson Kadance); son James (daughter-in-law Teresa, grandson Sean and granddaughter Madison) son Richard; son Eric, in addition to a multitude of nieces, nephews and cousins all over the country whom she adored. 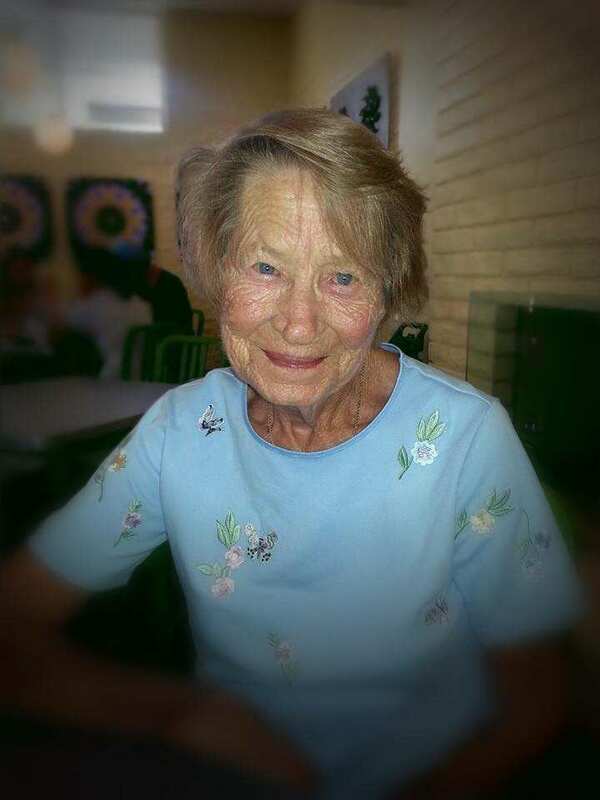 Mom received boundless loving care from a truly devoted staff of friends at Emerald Groves South in north Mesa, AZ and the loving folks at Hospice of The Valley – our family’s angels. Mom, you tirelessly gave so much and asked for so little in return. We thank you for always being there for us, for teaching us, listening to us, helping and forgiving us, loving us, and always, always paving the way for us. We will work hard to reach the standard you set, and as benefactors of your enduring love & kindness, we shall all strive to pay it forward. We will love and miss you always Mom. A memorial service will be held for Lula at 2:00 pm on January 13, 2018, at Bunker’s Garden Chapel, 33 North Centennial Way Mesa, AZ 85201. Your Momma was well loved Jim, and that is because she loved as well, if not better, than those around her. I am so sorry for your loss.